One of my goals this year has been to move towards a more student-centred approach. Whether it be reducing the time spent on instruction or providing more meaningful tasks, I have sort to evolve my own practise. Often such conversations open up into talk about choice, authentic projects and placing students at the centre of discussions. However, a particular ingredient that I have added to my cocktail this year has been the focus on ambiguity. Ambiguity can come in many shapes or forms. For me, it maybe leaving a project open for interpretation or providing a task where students are given a space to decide on various elements. In his book on digital literacy, Doug Belshaw wrote a fantastic explanation of ambiguity, influenced largely by William Empson’s book Seven Types of Ambiguity. For me, ambiguity has come in the form of narrative. My focus has been to move the focus away from what to focus on why. Although this feels like a long way from +Ewan McIntosh‘s call for students to find their own problems, it is at least a step towards a space where students can play and explore. 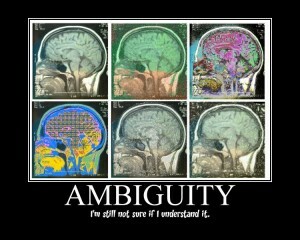 I feel that at its origin all learning is ambiguous and messy. The biggest challenge is what we do with this. This year has been a bit topsy turbo in regards to my allotments. I have had the opportunity to teach a wide range of subjects, including music, media studies, literacy intervention and business studies. Some of the challenges I have facilitated have included creating a yearbook and developing a performance based on space, not just content. However, the topic that I found most interesting was the use of 3D shapes with a group of Year 7 Numeracy Extension students. I always find intervention and extension classes interesting. Unlike a traditional classroom where you maybe in charge of implementing the curriculum, I always feel a responsibility to not only provide support based on where students are at, as all teachers should, but also to sustain some sort of connection to what is occurring back in the classroom. Therefore, I always ask the usual teachers if there is anything that they would like me to cover? This term the students had been focusing on shape and measurement, I was therefore asked to explore surface area. One of the interesting things associated with extension classes is which pedagogical cocktail do you use. I made the decision to provide the students with a beginning, interested in where they would take it. 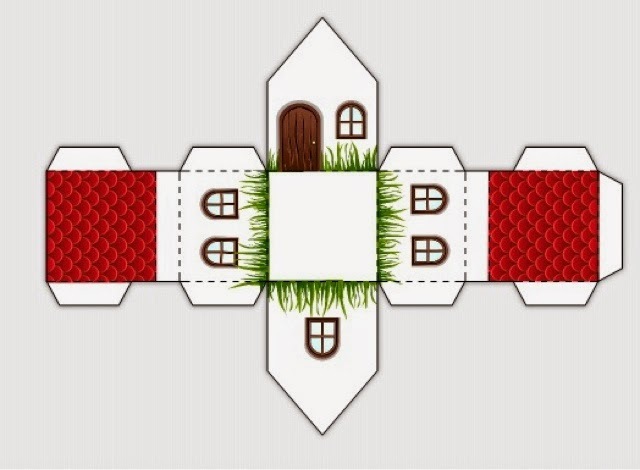 I decided to use measurements associated with houses. So after brainstorming all the different forms of measurement associated with houses, I gave each student a net of a simple model house created using Foldify and asked them to choose a particular form of measurement to focus their investigation. I am going to be honest, I was a little nervous, but isn’t it amazing how with a little faith students can achieve amazing things. In addition to the problem, I told the students that they could use any measurements that they liked. If they wanted their house to be twenty meters wide then they needed to consider the height and whether it was still logical based on the model at hand. What was great about all of the different problems was that each of these tasks was just as unfamiliar to me as it was to them. Unlike the situation that often arises in class where the learning at hand is relatively familiar to the teacher providing support and instruction, in handing over some sort of ownership and providing an element of ambiguity, the role of sage is truly compromised. What takes pride of place in such situations is learning. Although +Ewan McIntosh makes the point the challenge of finding a problem is often the first decision taken away from students. I feel that providing the situation for them to develop their own problems is at least a step towards this. To me this is also a step towards what +Peter Skillen‘s calls Tinkering-Based Learning, where the focus is on exploration that leads to questions, rather than vice versa. So what has been an ingredient that you have added to your pedagogical cocktail this year and how has it turned out? 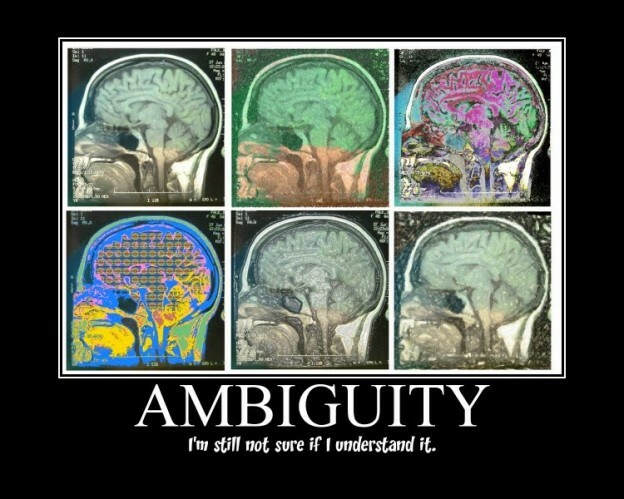 Adding Ambiguity into the Learning Mix by Aaron Davis is licensed under a Creative Commons Attribution-ShareAlike 4.0 International License.